For those of you interested in the topic of leadership John Maxwell (@johncmaxwell – www.johnmaxwellonleadership.com) likely needs no introduction. John is probably one of the world’s best known and most respected authors and speakers on the subject of leadership. A New York Times, Wall Street Journal, and Business Week best-selling author, John has sold more than 18 million books. In fact, three of his books (The 21 Irrefutable Laws of Leadership, Developing the Leader Within You, and The 21 Indispensable Qualities of a Leader) have sold more than one million copies each. John is also the founder of EQUIP, a non-profit organization that has trained more than 5 million leaders in 126 countries worldwide. Rather than continue with his bio, I want to get on with the interview so that you can get up-close and personal with man behind the impressive credentials. Mike Myatt: What was your first recollection of experiencing great leadership? John Maxwell: Definitely in the home. My father is a great leader. He led our family well. He served our mother, which is the essence of effective leadership. And he led each of us kids differently. For my business-minded brother, he provided opportunities to connect with successful businessmen and develop his talent. With me, he knew I was going to be a pastor. So he often took me with him to hear especially gifted preachers. Many of them were kind enough to meet with me and even pray over me and my future calling. Mike Myatt: Who had the most significant influence on shaping you as a leader? John Maxwell: Well, aside from my father, I’d say one book really changed the way I looked at had leadership: Spiritual Leadership by J. Oswald Sanders. That’s where I first read that leadership is influence. That insight changed my perspective on leadership and set the course for my career as a leader and teacher of leadership. Mike Myatt: What has been the most difficult decision you’ve had to make as a leader? John Maxwell: I think it would have to be leaving the pastorate. I’ve always loved the church and believed in its mission. Pastoring the local church was my first calling. But later I began to sense that I was called to train leaders outside the walls of the local church. As it happened, I served as senior pastor probably two years longer than I should have. After ten years of leading a church and an organization for leaders outside the church (essentially two full-time jobs), the workload took a toll on me. Even then, I didn’t want to leave. But it was a decision I eventually had to make. Mike Myatt: What’s been most rewarding to you in your work in the leadership field? John Maxwell: Seeing other leaders emerge and reach their potential. Nothing gives me greater joy than seeing a leader rise up and serve other people. Mike Myatt: What do you see as the primary role of a leader? John Maxwell: Helping others succeed. If you take a trip up a mountain by yourself, you’re not a leader; you;re an achiever. A leader takes people somewhere. And they take the people not only where they want to go but also beyond where they believe they can go. Mike Myatt: What do you see as the single-biggest stumbling block for leaders? John Maxwell: Thinking that their leadership is for themselves. Leadership by nature needs to be unselfish, to add value to others. Anytime a leader starts to think that the position, the influence, or the benefits are for them, they’ve got things upside-down. Mike Myatt: What do you see as your greatest strength as a leader? John Maxwell: Probably my ability to connect with people. All good leaders understand people, care about them, and know how to connect with them. You may meet a good connector who’s not a good leader, but you don’t really ever see a good leader who’s not a good connector. Mike Myatt: What do you see as your greatest weakness as a leader? John Maxwell: I believe so much in people that I’m unrealistic. There have been many times when I’ve thought I could help somebody get to the next level when maybe they didn’t even want to. I just have a real blind spot there, so much that I eventually got to the place where I was not the one hiring leaders. Because no matter what deficiency a potential staff member had, I thought, “Oh, I can help with that. I can help them be successful.” That’s just not always true, because people have to want to change and grow. Mike Myatt: Is it more difficult to be a leader today, why or why not? John Maxwell: No. Leadership is leadership. It involves the same principles, no matter the time frame. Now, individual challenges can make things more or less difficult. But I think every era has opportunities for great leaders to emerge, and the great ones do. Pick any time in history, and you’ll find a challenge and a leader who rose up to take it on. Mike Myatt: What’s the best and worst example of leadership you’ve observed in recent times? Now, look more recently to the same president, same administration. With this spring’s Gulf oil spill, I think Obama was too laissez faireat first. I don’t think he understood the magnitude of the problem and didn’t take a proactive enough approach. And so it soon grew to crisis proportions. This illustration just shows that no leader is immune. Every good leader makes some bad decisions. Likewise, every bad leader makes some good decisions. Mike Myatt: What should leaders today be focused on with regard to the future? John Maxwell: I think leaders always have to be looking forward at the vision. So that’s really a question for each individual leader. You can’t give one answer that works for all leaders because every leader has a unique vision and circumstances. Whatever your leadership world is, you need to keep an eye on the vision. If you don’t see before other people do, and better than other people do, then perhaps you’re not really even the leader. Leaders are always connected to the vision. And then they connect the people to the vision. Mike Myatt: If you could give our readers one piece of advice on leadership, what would that be? John Maxwell: You never arrive. Leaders are learners. If you want to be a good leader, whether you’re just starting out or the CEO of an organization, do not have an arrival mindset. Always operate from the belief that you can always grow and get better as a leader and as a person. Mike Myatt: What’s next for John? John Maxwell: More and more, I find myself speaking internationally. A little over 10 yrs ago, I started a nonprofit org called EQUIP, to focus on training leaders outside the United States. Because of EQUIP’s efforts, I’ve made more international connections. Last year, I taught in China twice, and I’m going back again this summer. I like to say that I’ve taught leadership on every continent except Antarctica. And I believe I’ll continue doing that. It’s a joy to train leaders here at home, but I find it especially rewarding in countries like China, where the people are so talented and so hungry to learn. Great interview. Love John Maxwell's advice. Thanks for the kind words. I can see how you would love John's advice – what's not too love? I think I've read all of John's books over the years and I've never found a piece of advice that I viewed as other than spot-on. A leader is a giver and John is the biggest giver I know. I desire to a be a good father and the tip on how your father raised his children was especially inspiring for me. You are one of my heros; I also desire to train leaders someday and I dream of meeting you in person someday. I'm sure John will read your comment and will in turn be inspired by the inspiration you have found in his work. Excellent interview – such a good reminder of what leadership is. I've read many of his books, currently in Talent is Never Enough, with Leadership Gold in the next up position. Thanks Mike for the doing the interview and John for responding. enjoyed reading this interview. John has in his usual style simplified learning leadership. will get oswald j. chambers book asap! many thanks mike for sharing. Glad you enjoyed the interview. Great communicators and leaders also happen to be greatly skilled at simplifying the complex, and John definitely knows how to get to the root of an issue! FYI, the author of the book you're after in J. Oswald Sanders and not Oswald Chambers…Thanks for stopping by Sam. Thanks Mike for such a wonderful interview. After reading John's books and listening him from DVD, I started to be serious about leadership. You changed my life John! Thank you and may the Lord be glorified! Hi Lian – I know John will be pleased to read about the positive impact his work has had on your life. Thanks for sharing your story. Thank you John and Mike for this outstanding interview! I am a doctoral student in area of international business. John Maxwell's books are inspiration for me. John, are you planning a visit to Poland? Let me know, I want to be engaged! Thank you all and have great day. Glad you liked the interview Maciej…I'm sure that John will respond to you if he has plans to be in Poland in the near future. Congratulations on your desire to be engaged! and thanks John for never holding back from the wealth of wisdom God deposited in you.I have learnt what leadership truly means from you. God bless you indeed. Thank you Mike and have a great day! Mike great interview, thanks for sharing it! "If you take a trip up a mountain by yourself, you’re not a leader; you're an achiever. A leader takes people somewhere. And they take the people not only where they want to go but also beyond where they believe they can go." It is amazing to me just how simple a concept that is and how in spite of having a dearth of "institutions of higher learning" how foreign this concept seems in our culture not just in business or politics, but across the discipline spectrum. Really, leadership it seems to me is guiding your tribe and other tribes to achieve what could not have been done individually. Agreed – At its essence leadership is all about serving others. When leaders place self-service above service beyond self things begin to come apart at the seams. Thanks for the great observation. 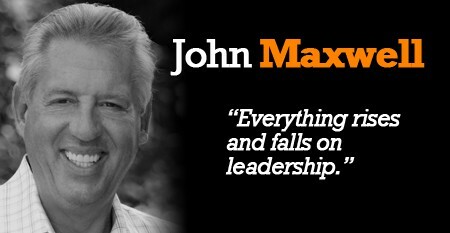 John Maxwell is probably the most influential person and as a leader I ever known. I've seen John in person at few of our conferences teaching leadership to us and I am really do admired the knowledge and wisdom he gained. It is truely a gift from God. I've read a lot of his books and each one of them has impacted me in a good way. Thanks for sharing Corey…I've yet to come across any of John's material that isn't first rate. I'm glad you've benefited from his work. Best wishes Corey. Mike, Thanks for the excellent interview. Knowing how to elicit meaningful responses from interviewees with agenda-free questions is a great leadership art, and you have it! Thanks Randy, but honestly John did all the heavy lifting. I appreciate the kind words though and hope all is well. Greetings from Indonesia. Great interview on the essence of leadership. I have read a lot of John’s books and really inspiring. Hope I can attend one of his conferences on leadership. Thanks for the comment Eril and I'm sure John will be pleased to know his work has been inspirational to you. I had the opportunity to listen to John in Nairobi Kenya recently.I still hear him saying "I am John am your Friend"as if it is yesterday. Thanks for sharing about your recent encounter with John. I have found that if you take a close look at the family life of a leader it is quite revealing. A close look at a leaders spouse and children represent the clearest window into their values, passions and desires. Thanks for sharing Peter. mike, thanks for sharing the interview.i beleive that leasers are made, not born. i wish i will be a great leader. i do agree that leadership starts at home. I've been reading Maxwell for over 10 years now, since I was 16, and he's helped me a lot! lol – I hope so! Thanks for the kind words Mike. I really enjoyed this post – especially your remarks about John uniting faith with leadership. It's sad to see in the social media arena there are many people who hide their faith. I have so, so many people who privately tell me how much they support me because I make no division between my faith and work – and it upsets me that they feel that they can't be vocal themselves. "Faith in business simply places core values where they should be in the hierarchy of leadership principles"
Totally – this is SO good. I've read it before, but glad to read it again. Thanks for this Mike. I also understand all the more why your hierarchy works compared to other ones that place, say goals, first. I like John Maxwell, he is the greatest leader and giver. I'm such an admirer of John's teaching, his books and his character. You truly can see that God has anointed his passion for helping others to succeed. I learn more from one of John's quotes than I do from many other people's books! I'm so thankful John has been willing to pour into others like he has. He is a wonderful leader! 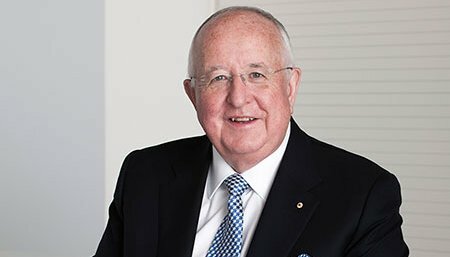 I meet John last week in Brisbane and I must say that this man really walks the talk. Upon entering the room he said hello and shook hands with almost every one in the room. What stood out was the way he did it, he looked you in the eye and made you the centre of attention for those brief few seconds. If you are an aspiring leader, make sure you see John speak! i am truly inspired by him. id really want to have a mentor like him. and yes i do aspire to be a good leader soon. He is a good author describing leadership characteristics that are informative and helpful for people to become future leaders. This is verg inspiring, I so wish our Leaders in South Africa can read this interview. I am really inspired by these words “A leader takes people somewhere” Goodman Gcaba South Africa, General Manager. Wonderful! I really enjoyed this. I also find it refreshing that such a great man of God can be so humbled and motivated to serve others and show his faith and his love of leadership and helping others through his words and actions.